Legen, wait for it, dary. Legendary! 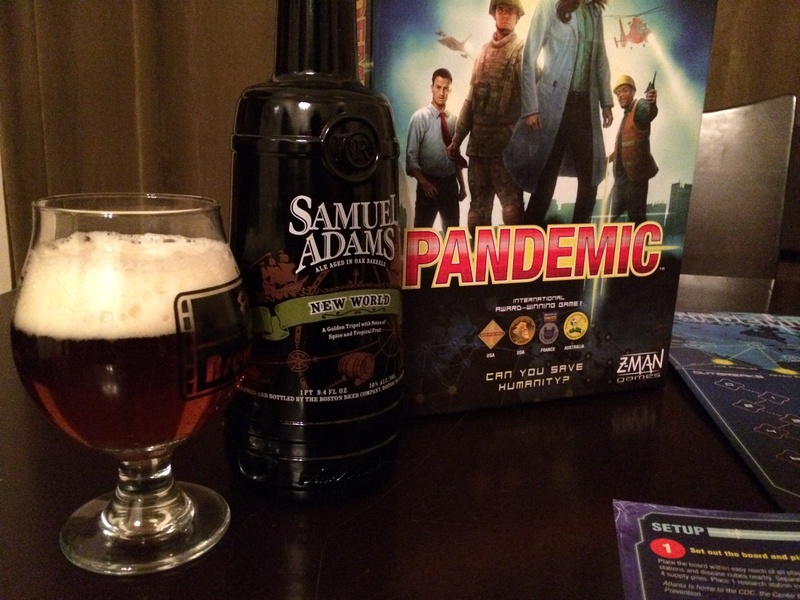 December 30, 2013 Board Games, GamesLeave a Comment on Legen, wait for it, dary. Legendary! Playing Legendary tonight with the gang! Looks like spidey is ready to throw down. Zombie Dice is fantastic quick played dice game. 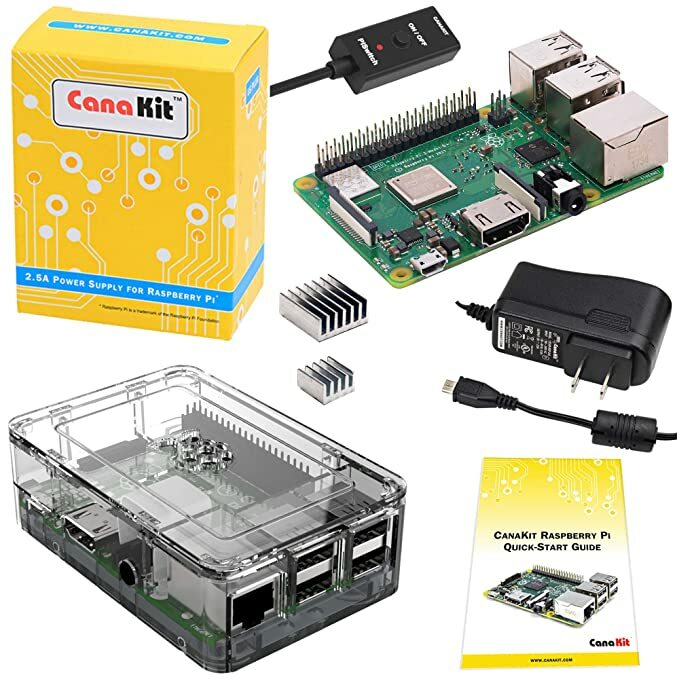 My kids love it, and their friends they introduce to it want to buy it for their house. You take on the role of a Zombie, and try to eat as many brains as possible in a single turn,however; if you get shot in the head too many times all those brains were for nothing! 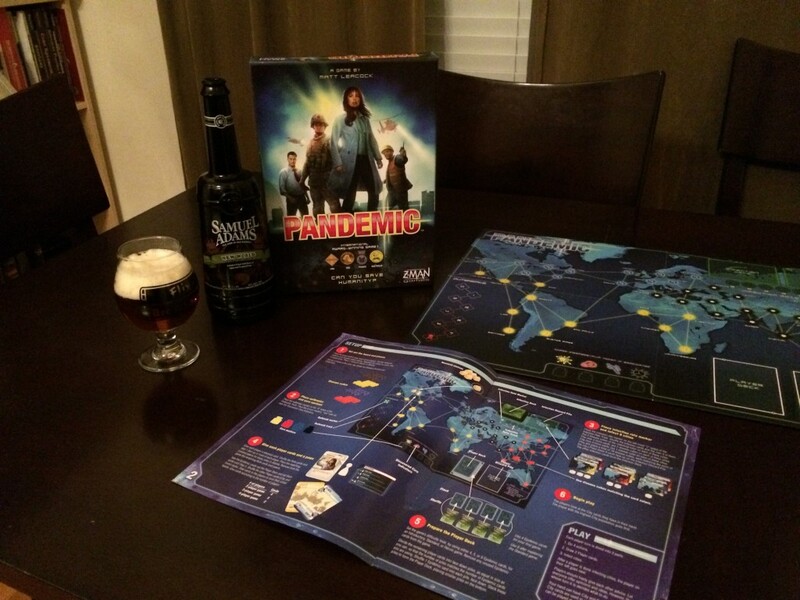 Just got our copy of Pandemic in the mail, couldn’t pass up on this great deal. The wife has been really excited about this one, opened up the box and poured a beer. We just glanced over the rule book until the wife’s finals are over, but excited to see if we can save humanity, or die horribly! 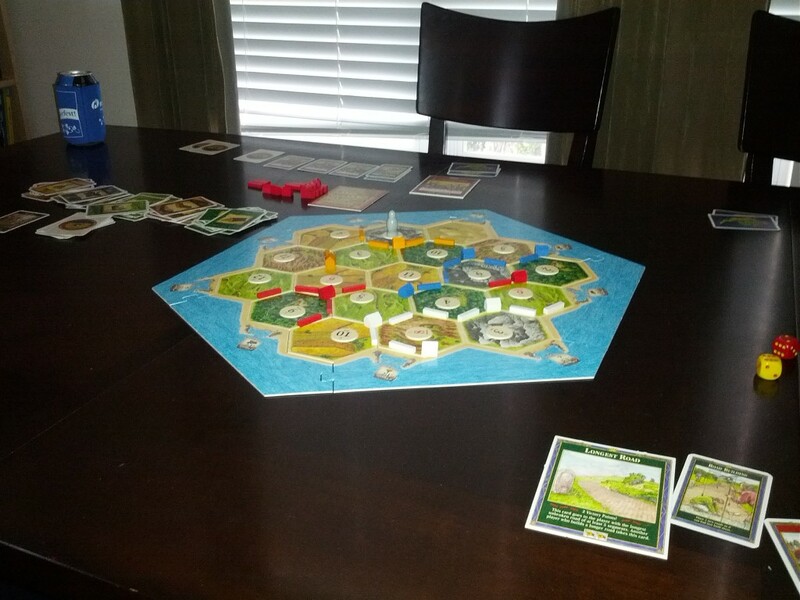 Catan. 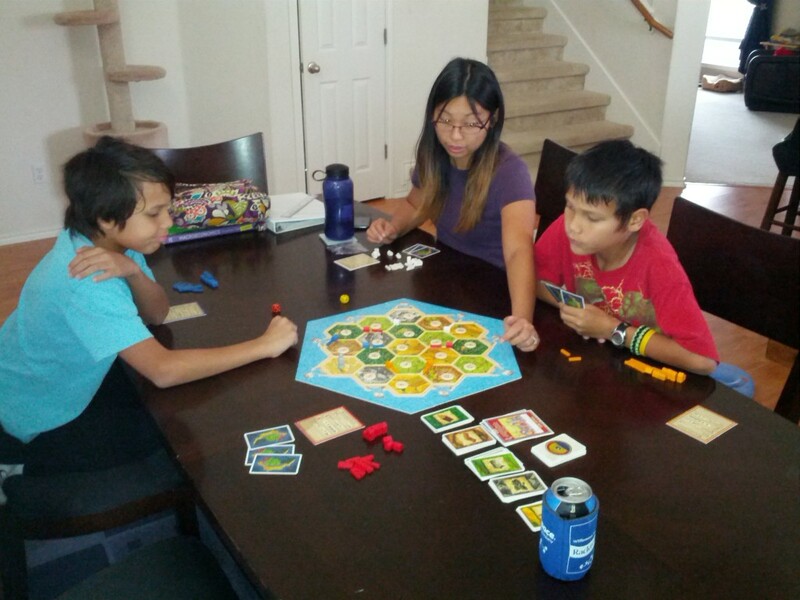 This is one of the best strategic games I own, and we love to play it as a family. 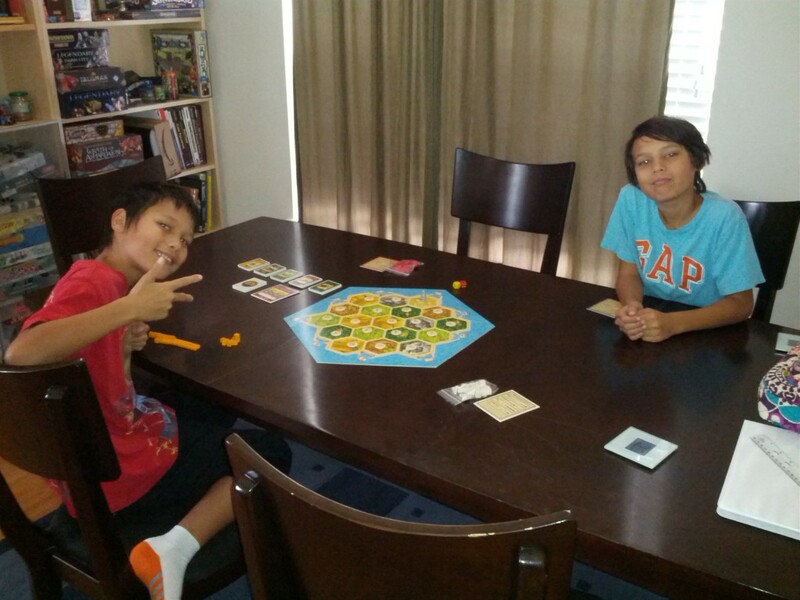 Below we got my two sons ready to start placement of roads, settlements, and cities! And another action shoot of the wife giving a hand on resource collection. 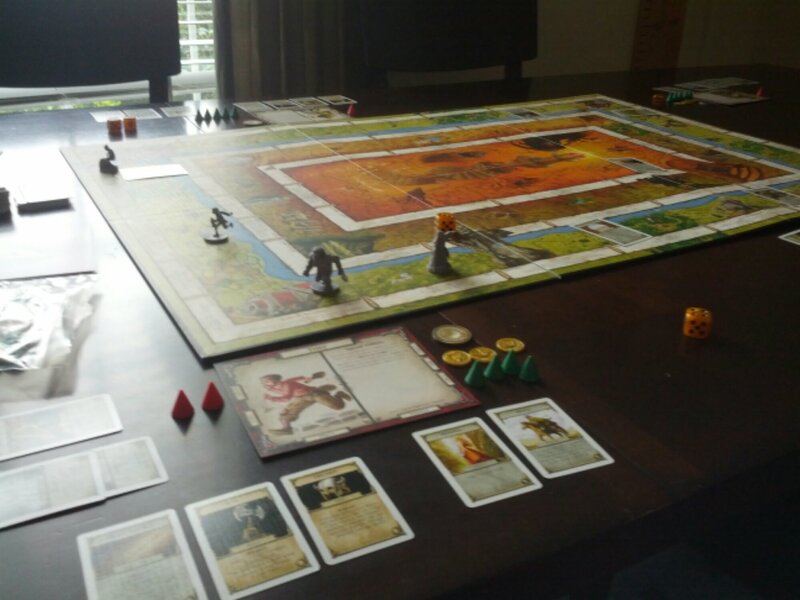 When it rains out side, the family will play Talisman!